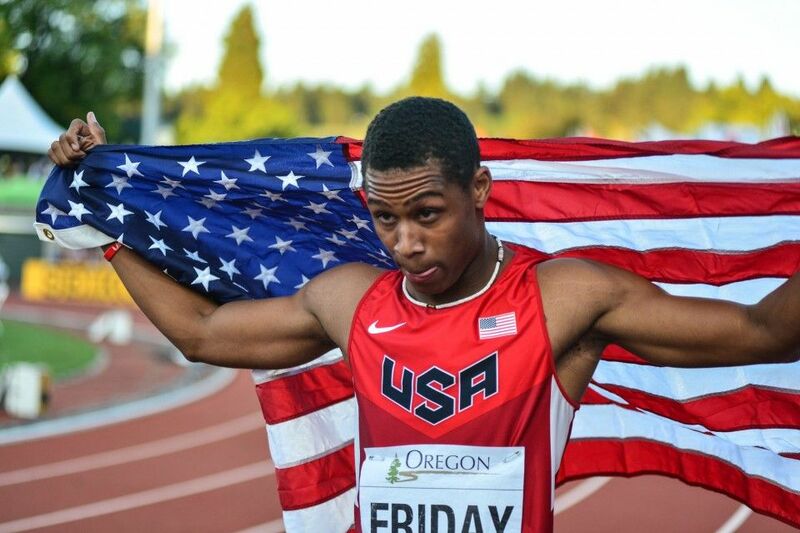 Representing his country in Eugene: a far cry from where this young man started his high school career. If you're a subscriber, you can see the full stats page for any athlete (here is Trentavis Friday's). If you look carefully at each mark and the point in time at which the performance happened, then all of the numbers on that page begin to tell a story. This is the story of one of the most stunning careers that any of us have ever witnessed, and perhaps ever will. By Trent's own admission (see his Senior Spotlight video), he fell victim to an all-too-common problem among freshman boys: he thought he knew it all. More specifically, he thought basketball was the way for him to go, and he didn't think he had to work hard in the classroom, so he ended up sitting out of track season entirely. Dwell on that for a minute - the man who ended up being the best high school 100 runner of all time did not compete at all during his freshman year. The lesson: talent only takes you so far, because you have to be a student to become a student-athlete. Spring 2012: A 400 "Out of Nowhere"
Having realized that he wasn't nearly as talented on the court as he is on the track, Trent rededicated himself to his primary sport, and was promptly saddled with an injury (he has hinted in interviews that he did not do enough to prepare himself for the season, perhaps thinking he could coast on his talent). He was unable to recover enough to put maximum effort into the 100 and 200, and so he concentrated on the 400 for the season. He ran 49.3 (hand-timed) at a small, local meet, then won his regional easily with an unremarkable 50.69. 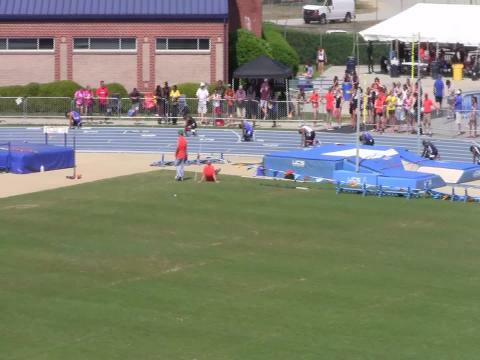 Friday then grabbed the state's attention by dominating the 1A state meet while running 48.12, which earned him NC #5 for the season. To most fans of the sport, the performance came out of nowhere, as he did not have any sub-49 times all season (and did not record a single 100 or 200 that would hint at what was yet to come). So now, we're two years into the high school career of the eventual national record holder in the 100, and he has yet to run that race in high school competition. Finally healthy, and with his grades on track, Trentavis began to show his potential. Hand times of 10.4 and 21.3 at a local meet in March were the first sign, but hand times can be deceiving. Even as Trent's 100 dropped to 10.2 in late April, there was skepticism (including from me) because he had not proved it under the glare of FAT. At the 1A West Regional, he clocked his first FAT marks of the season: 10.55 and 22.15, which are good times but not threatening any records. Friday was also still running the 400, clocking 49.92 at the regional, and that no doubt affected his performances in the 200. 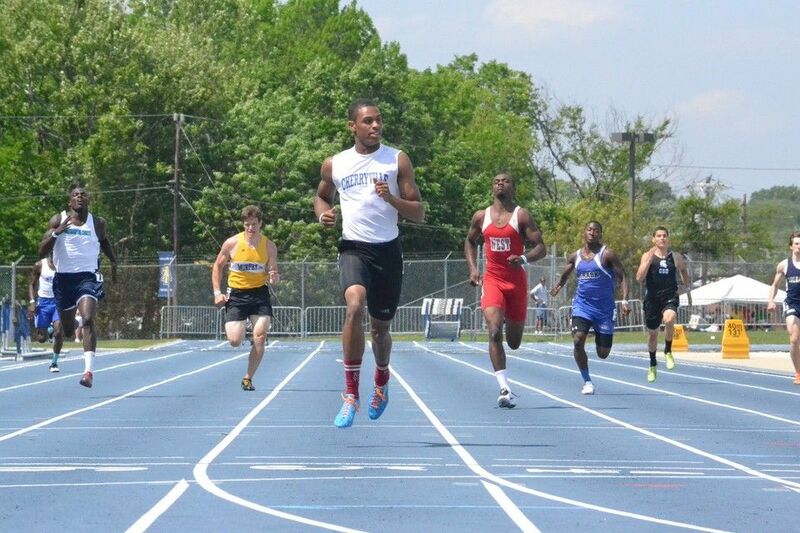 He improved noticably at the state meet, winning all three sprints with times of 10.48, 48.00, and 21.73 (into a strong headwind); again, those are highly-ranked on the state level, but not really noteworthy on the national stage. Trentavis wasn't done, though, as he ran 10.37 at Golden South and then dropped jaws at the Champions Tune-Up with a 400 of 46.97 and a 200 of 20.79. Now, he had EVERYONE's attention, not just in North Carolina but across the country. At the time, Friday talked about the 400 being the race of the future for him, and even suggested he might run the 800 in summer track. That plan clearly changed somewhere along the line, and although the summer did not produce an improvement in time, it did reveal the strategy going forward: Trent only ran the 400 at one more meet that season. 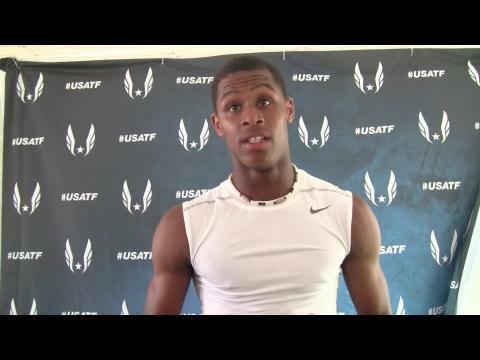 Trentavis Friday's first high school indoor season was also his last. Competing unattached, he ran a small selection of races indoors, displaying a higher level of acceleration than he had shown his junior year. He ran an eye-opening, national-leading 6.70 for the 60 Dash in December, then followed that up with a 6.30 in the 55 Dash in January. 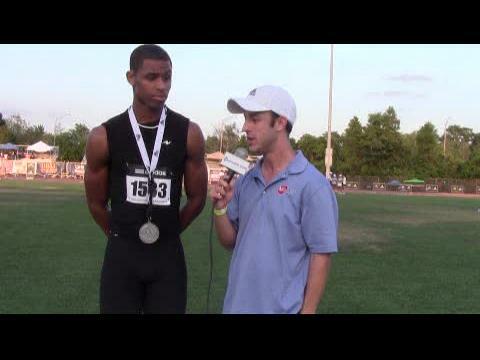 He also clocked 21.67 in the 200 that month in Tennessee, which put him in the top 10 in the country. (Unfortunately, he never ran the 300, which would have been very interesting!) 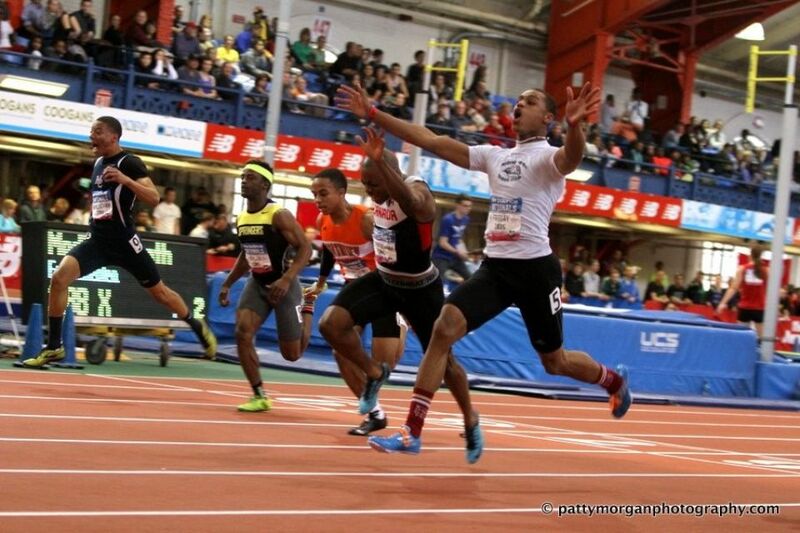 Outdoor season started, but Friday's focus was still indoors, and he produced at New Balance Nationals - 6.64 for the 60 Dash (including 6.19 FAT at the 55 mark) and 20.97 for the 200, both earning him national titles. You could say that his breakthrough was back in June of 2013, but this was just as big, if not bigger. The expectations for Trent's final outdoor season were growing, but we still didn't have any sign that he would be the best of all time. For most of the outdoor season, we saw what we expected to see from Friday. He was excellent, but not transcendent...but he was working hard, and his times were not reflecting his full, rested potential. 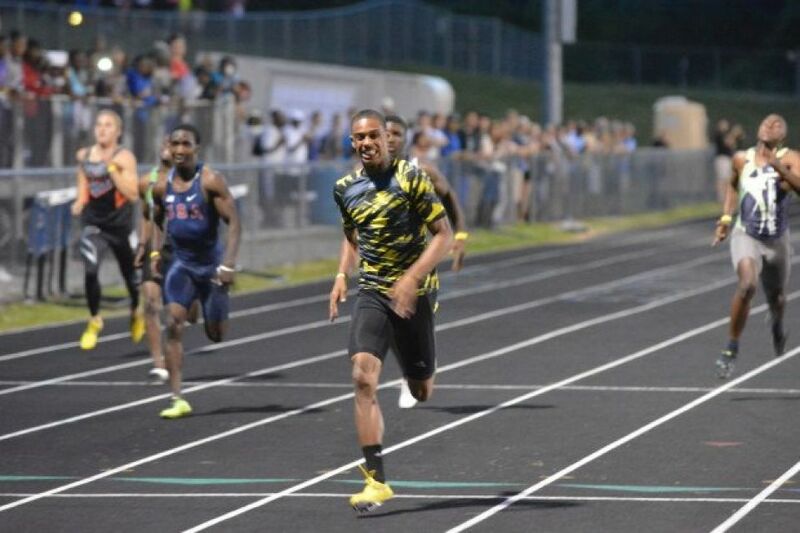 His 10.38 in early April was improved to 10.33 at the regional, and then he ran 10.39 at the state meet; 21.14 became 20.80 at the regional, then 20.95 at states; he ran 48.50 mid-season, then ran his final high school 400 at the 1A Championship, clocking 47.87. All of those numbers are impressive, and they rank among the best in the state both this year and for all time, but none of them represented the idea of "reaching the next level." It seemed that Trentavis was destined to go down as ONE OF the best ever in our state, and ONE OF the best in the nation THIS YEAR. And you know what? That would have been good enough for us - we could have talked about having seen Trent Friday run, and compared him to future sprint stars, and he would have been remembered. "Transcendence is the act of rising above something to a superior state." (So says vocabulary.com, at least.) Sometimes athletic transcendence happens gradually, and sometimes it happens suddenly. Sometimes an athlete shows early signs of being on an entirely different level from all of his or her peers of the same age, and sometimes an athlete catches lightning in a bottle and puts it all together at the right time. 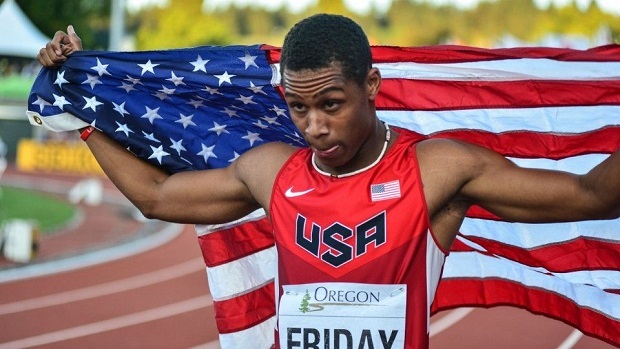 Put it this way: anybody who tells you that they KNEW Trentavis Friday was destined to become arguably the best high school sprinter ever in the United States is lying to you, because there was no way you could predict this summer. When did we get the first sign that something truly once-in-a-lifetime was about to happen? It was again at the Champions Tune-Up, where the wind cooperated and Trent posted times of 10.17 and 20.33. Suddenly, he was in range of the all-time state records in both events, and he was a candidate to not only run for national championships, but to represent the USA at World Juniors on US soil in Oregon. Friday rolled though a relatively weak field at New Balance Nationals, "only" needing 20.41 to win his third national title. Looking back now, it almost seems like this was an after-thought, just a milepost on the way to something greater. At the time, though, we still didn't know what was coming next, and we celebrated his greatness as one of the best ever. Back in the day, us older sports fans watched ABC's Wide World of Sports, which had the famous opening sequence that included the words "The thrill of victory and the agony of defeat." 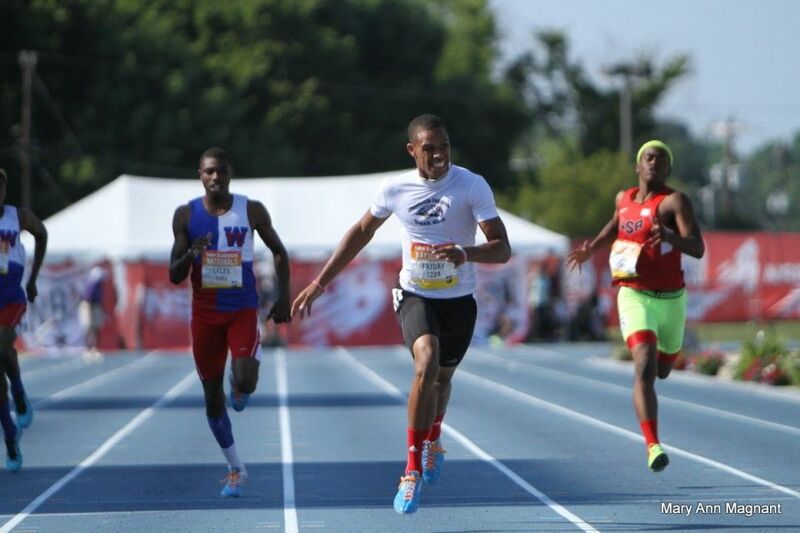 That perfectly describes the emotions of Tentavis Friday on July 5, 2014, during the 100 Dash competition at USA Junior Nationals. All he had to do was duplicate his existing times and he would almost certainly advance to represent his country on the world stage. He entered the meet without having raced in the two weeks since NBN, and in that time many of us realized how tantalizingly close he now was to writing some true track history. The all-time North Carolina records of 10.08 and 20.32 were within Trent's reach, and he would be able to square off against some top-flight competition for the first time since indoor nationals. Then the gun fired for the prelims, and Friday blasted down the track to a national record 10.00. He was no longer ONE OF the best ever; now he was THE BEST EVER. Improving from 10.17 to 10.00 may not seem like that much, time-wise, but in reality it represents a huge leap forward, and the performance sent shock waves through the entire US track community. Those quakes were still reverberating when we received an even greater shock: in the finals that night, Trentavis false-started, removing himself from the 100 at World Juniors and preventing a showdown with Trayvon Bromell, the world junior record-holder at 9.97. 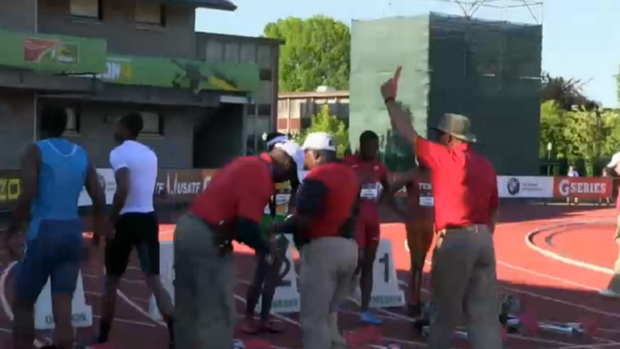 The story could end there, and it would be amazing: starting and ending his high school career with false starts. Thankfully, it wasn't over, because Trent still had the 200 to run the next day. He seemed to channel all of his frustration into that race, dusting the incredibly talented field in the curve and pulling away down the final stretch to a mind-boggling 20.03 that would have been another national record...except it was wind-aided. Corrected for wind, the time translates to 20.19, just short of the national record - and that leaves open the debate as to whether Trentavis Friday is the best all-around sprinter ever. The question wasn't answered at World Juniors, when he ran 20.04 for the 200 and again it was wind-aided (that time translates to 20.18). Friday ended his career representing his country as a champion, adding a second gold on the anchor leg of the 4x100. And yet, he does not officially possess even the all-time North Carolina record in the 200, as his best wind-legal time stands as 20.33, one one-hundredth of a second short. 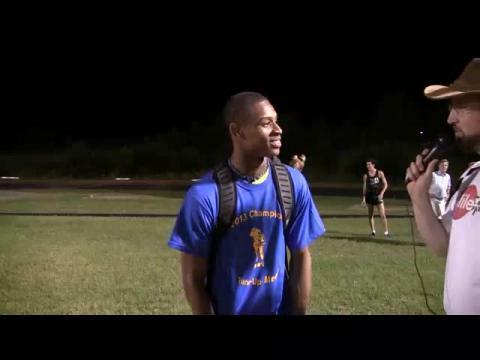 There is no doubt, though, that fans of high school track got to witness transcendence this summer, and who knows when we will ever see anything like Trentavis Friday again?